Delivered with 5 stainless steel GN 1/9 containers and 2 cooling blocks. 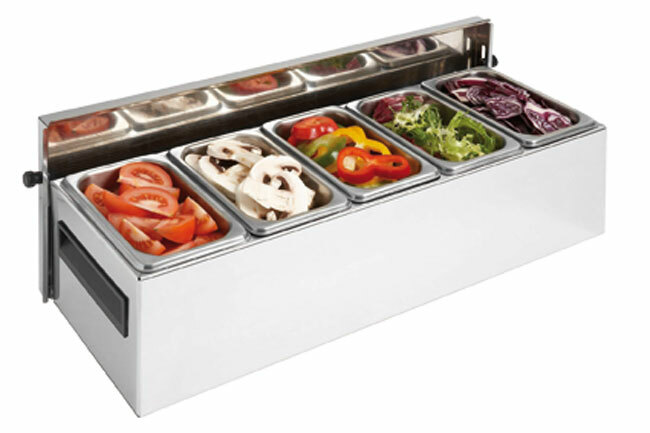 Perfect for keeping service condiments cold and fresh separately for hours. Length/Width/Height 23’’, 8’’, 5 1/2’’.